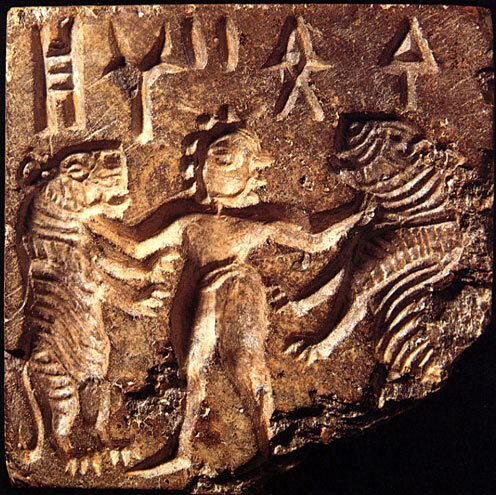 Harappa.com has been the major website on the ancient Indus or Harappan Civilization (3500-1700 BCE) since 1995. Leading scholars from India, Pakistan, the US, UK, and Europe have published their work in slideshows, essays and articles that cover the basic facts and the latest research. Too little is understood about the ancient Indus civilization in India and Pakistan. Its unread script makes it hard to be sure about so many things - not the name of a single ruler, place, or even word is known. In a vacuum, fictions flourish. Yet the pace of discoveries has never been quicker, the number of investigators never larger. We are here to tell you what is really going on. The site was founded by Omar Khan, an amateur Indus enthusiast in San Francisco and author of the books From Kashmir to Kabul The Photographs of John Burke and William Baker 1860-1900 (Mapin/Prestel/Gallimard, 2002) and the Paper Jewels Postcards from the Raj (Mapin/Alkazi Foundation for the Arts, August 2018). 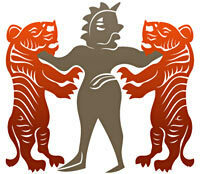 Harappa.com went online in 1995 and was redesigned and relaunched in 2015 (the original Harappa.com can still be visited). Our Facebook page started in 2008. It has benefitted enormously and would not be possible without the contributions of Dr. Jonathan Mark Kenoyer (University of Wisconsin, Madison), Dr. Richard H. Meadow (Harvard University), the Harappa Archaeological Research Project and two dozen international ancient Indus scholars. See donations. Sources: A large number of photographs are credited to the archaeologists above and appear Courtesy, Dept. of Archaeology and Museums, Govt. of Pakistan. Other sources include the Ashmolean Museum, Oxford University; Department of Asian and African Studies, University of Helsinki, Finland; The Harappa Museum; Harappa Archaeological Research Project; The Islamabad Museum; Musee du Louvre, Paris; The National Museum, Karachi; The Mohenjo-daro Museum; Pierpont Morgan Library, New York; Phoebe A. Hearst Museum of Anthropology, The University of California, Berkeley. Special Thanks: Munir and Thera Khan, Kamini Ramani, Rukmani Ramani. Copyright: All images and content are © Harappa.com 1995-2017 and may not be used commercially without written permission. See image rights or contact us with questions.